Organizations of all sizes have embraced digital transformation to create new business models and ecosystems, deliver new products and services and operate more efficiently in the digital economy. New digital compute platforms and development shifts such as cloud, mobile, SaaS and DevOps have made it possible to move from concept to capability on a daily basis. Physical devices and systems of all types - from corporate conference systems to power grids - are now network connected and programmable, creating even more opportunities for digital transformation. Some say these digital technologies are the future. But the truth is, the future is here and now. By 2019, there will be over 9 billion IoT devices deployed in the enterprise and over 90% of organizations have applications running in the cloud today. This elastic attack surface has created a massive gap in an organization’s ability to truly understand its Cyber Exposure at any given time. We call this the Cyber Exposure gap. While digital transformation opens up a whole new world of opportunities, this is your new cyber attack surface to defend. The tools and approaches organizations are using to understand cyber risk don’t even work in the old world of client/server, on-premises data centers and a linear software development lifecycle where there is less complexity and more control over security. An asset is no longer just a laptop or server. It’s now a complex mix of digital compute platforms and assets which represent your modern attack surface, where the assets themselves and their associated vulnerabilities are constantly expanding, contracting and evolving - like a living organism. 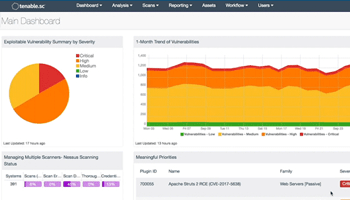 Throw 100s of security tools at the problem to protect from the ‘threat of the week’, creating siloed visibility, management overhead and reactive firefighting. Rely on a CMDB to get visibility into asset configuration, but 85 percent of these projects fail in part due to stale data and they weren’t built to discover and map today’s modern assets. 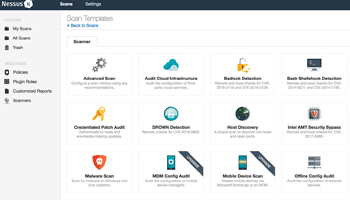 Take a ‘scan the network’ approach to identify vulnerabilities. While this is foundational to understanding your cyber exposure gap, the old “one size fits all” techniques and tools haven’t adapted for the modern attack surface. No one has been able to provide the visibility and focus required to close the Cyber Exposure gap against the modern attack surface. Cyber Exposure is an emerging discipline for managing and measuring cybersecurity risk in the digital era. 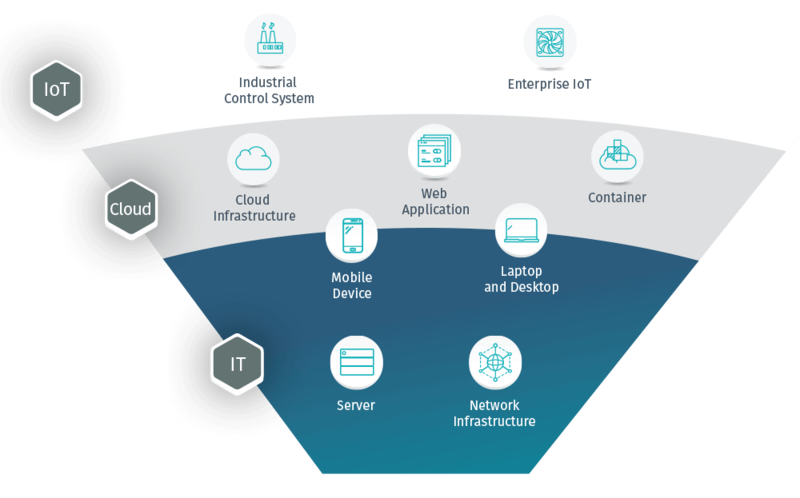 Cyber Exposure transforms security from static and siloed visibility into cyber risk to dynamic and holistic visibility across the modern attack surface. 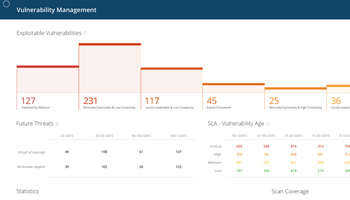 Cyber Exposure translates raw vulnerability data into business insights to help security teams prioritize and focus remediation based on business risk. Cyber Exposure provides executives and boards of directors with a way to objectively measure cyber risk to help guide strategic decision making. Just as other functions have a system of record - including ITSM for IT and CRM for Sales - Cyber Exposure solutions will provide Security with a system of record to help them effectively manage and measure cyber risk. Are we reducing our exposure over time? 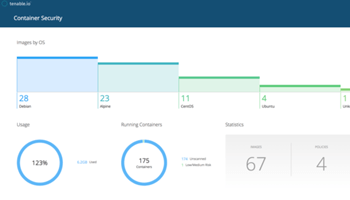 Learn more about Tenable.io Lumin, the new Tenable solution that for the first time empowers CISOs to confidently visualize, analyze and measure cyber risk. 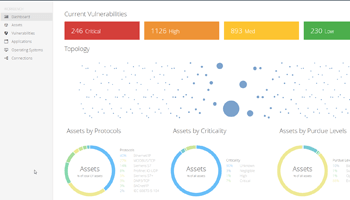 With the industry's first Cyber Exposure command center, Tenable is arming CISOs to quantify and benchmark their Cyber Exposure. ... well, that's just untenable.